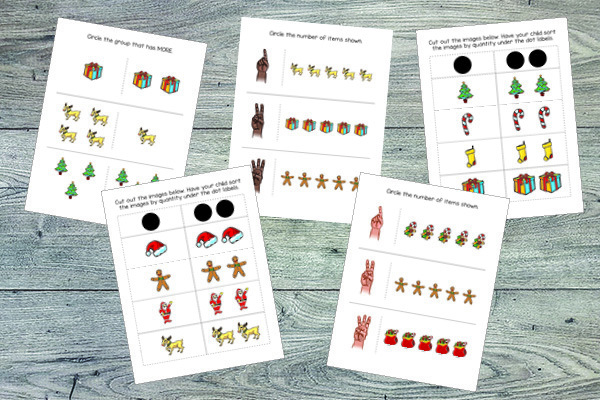 Today I’m releasing my Christmas Toddler Skills Pack to bring some Christmas learning and joy to your toddler-age children. This pack features bold and beautiful Christmas imagery, including Christmas trees, reindeer, stockings, presents, and Santa Claus! 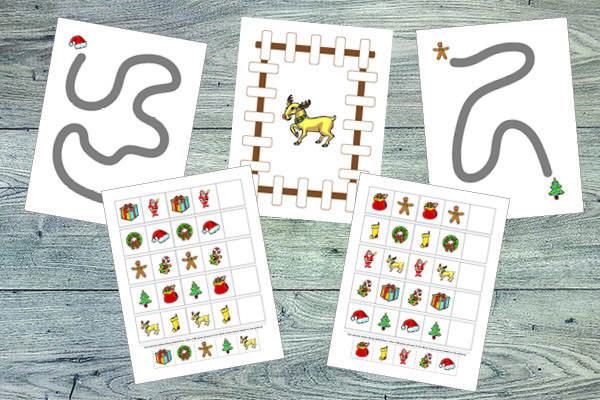 In this download you will find more than 60 pages of activities for your little ones. Enjoy! 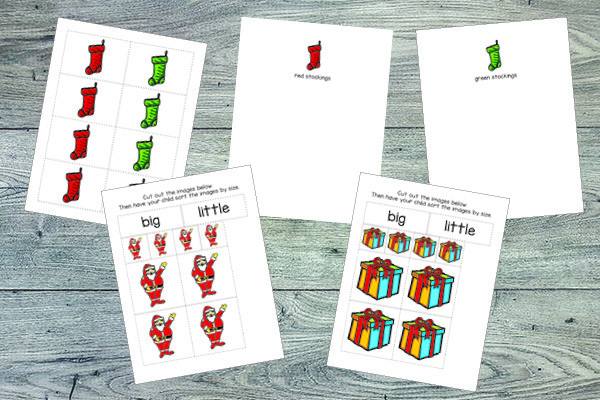 Note: For more Christmas printables your kids will love, see my Christmas Activities for Kids page. 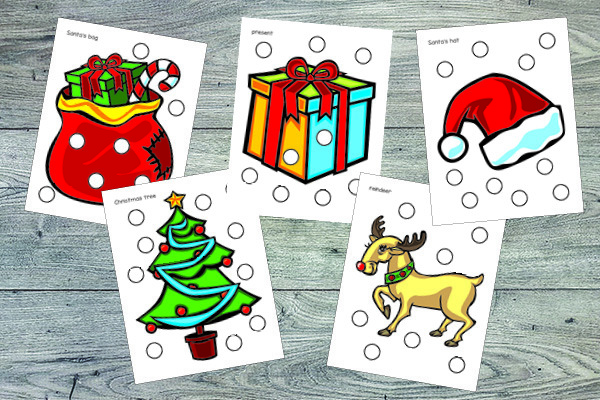 Toddlers love completing do-a-dot pages with dot markers or stickers. And coloring pages are always a hit. There are also activities to get your toddler sorting by color and size. 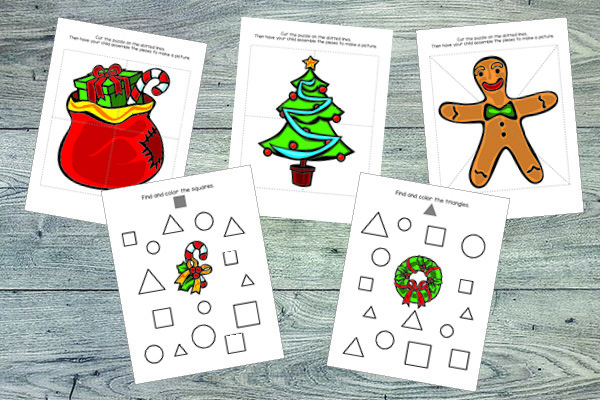 Toddlers will practice identifying shapes and putting together puzzles. Toddlers can work on their fine motor skills and their ability to recognize patterns. And there are several activities to get toddlers thinking about number quantities in concrete ways. 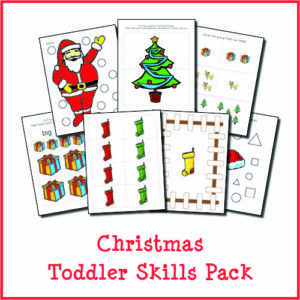 Want a copy of my Christmas Toddler Skills Pack? Add this product to your cart by clicking the button below! 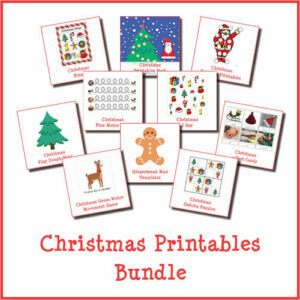 Or get it as part of the Christmas Printables Bundle. 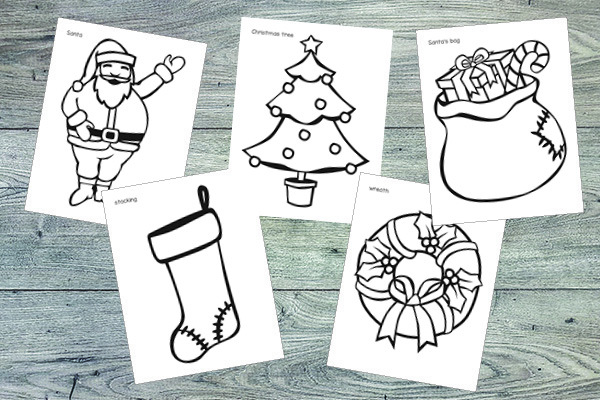 For more Christmas activities your kids will love, see my Christmas Activities for Kids page and my Christmas Activities for Kids Pinterest board. 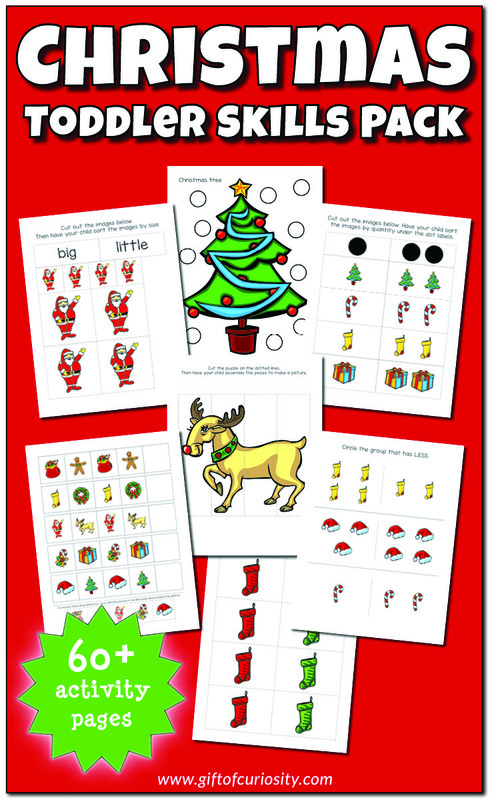 Follow Katie @ Gift of Curiosity’s board Christmas Activities for Kids on Pinterest.